Know your audience: That’s the powerful marketing lesson from Irish rock band U2’s current Joshua Tree tour. Not everyone is your audience, so refine your target – and lead with your strengths. 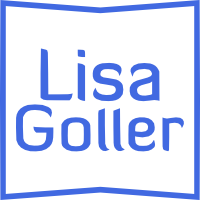 Lisa Goller is a marketing and communications professional with over 15 years of experience serving B2B, technology and retail companies. She helps businesses tell their story through irresistible content marketing and strategic communications. This entry was posted in *Lead Generation, Content Marketing, Customer Experience, Marketing, Social Media, Strategic Communications and tagged in Adam Clayton, Bono, communications, content marketing, Gen X, Gen Y, Gen Z, know your audience, Larry Mullen Jr., Lisa Goller, lisagoller.com, marketing, millennials, Rogers Centre, The Edge, The Joshua Tree, Toronto, U2.